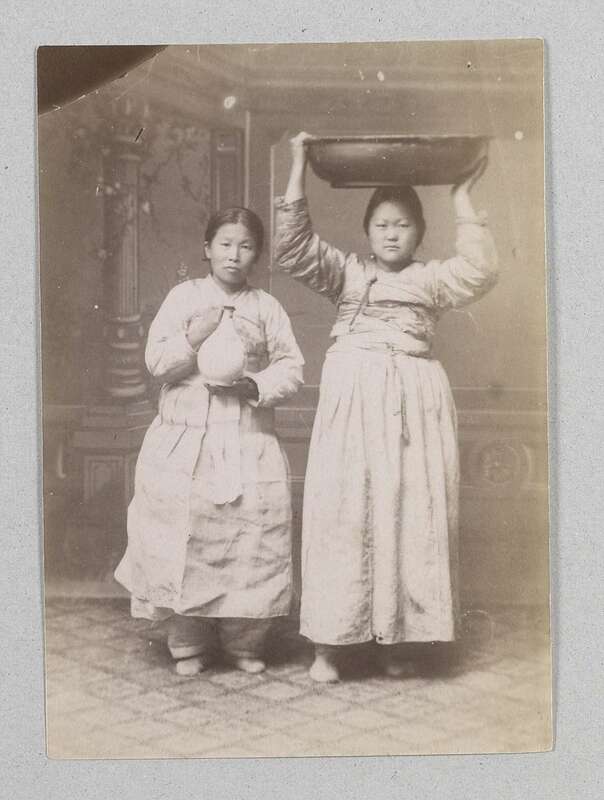 Images of the original book, scanned by Google, can be viewed through Internet archive in PDF format. Appendix A. 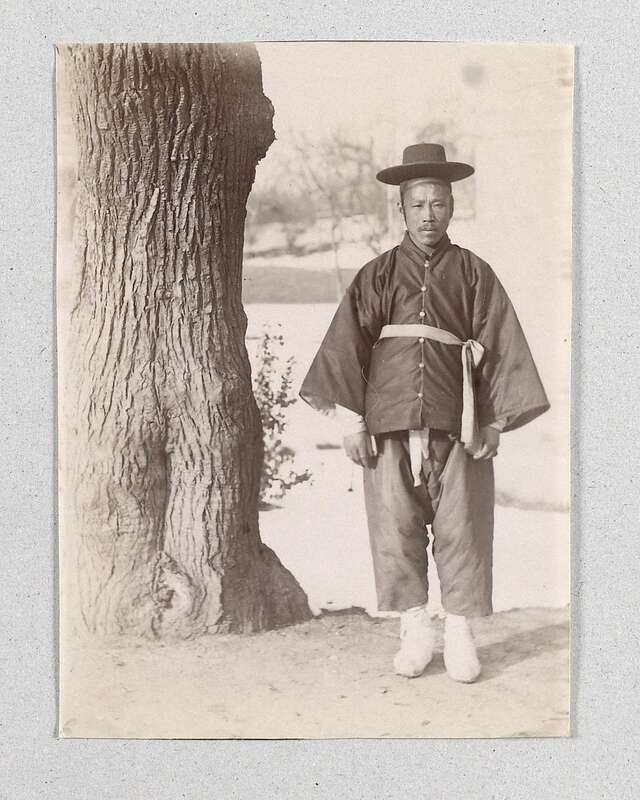 — Mission Statistics for Korea 1896. Appendix B. 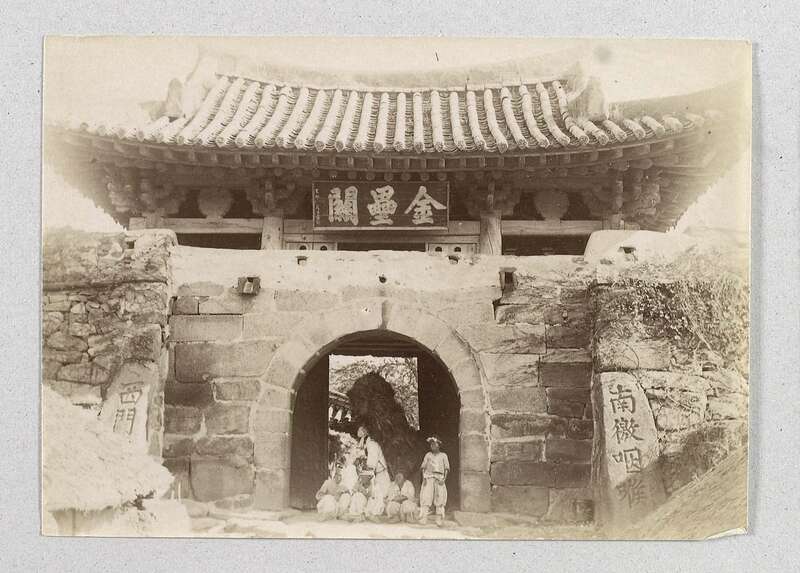 — Direct Foreign Trade of Korea 1896-95. Appendix D. — Population of Treaty Ports. with reply of H. E., the Korean Minister for Foreign Affairs. List of Illustrations in the 1897 edition. 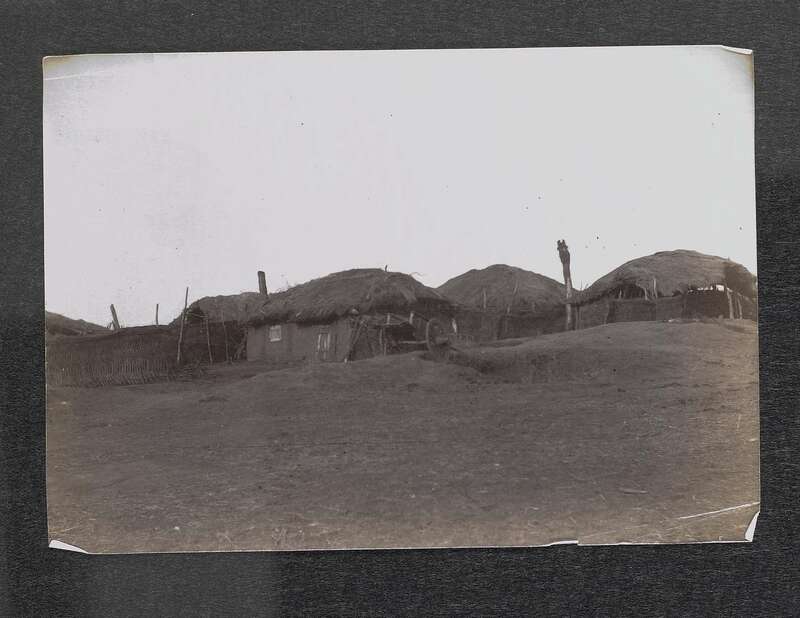 View of some very poor houses, no locality identified. 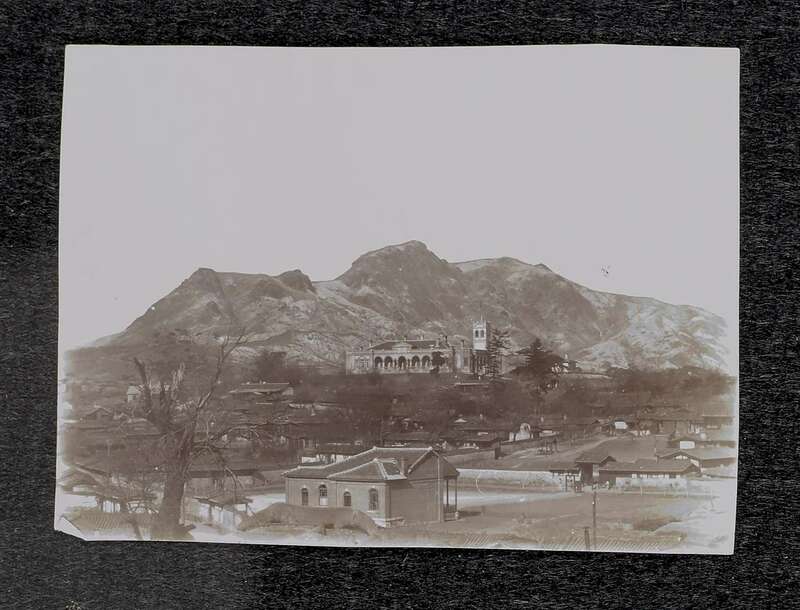 A view of Seoul showing the imposing Russian Legation and (in the foreground) the forst building of the British Legation. 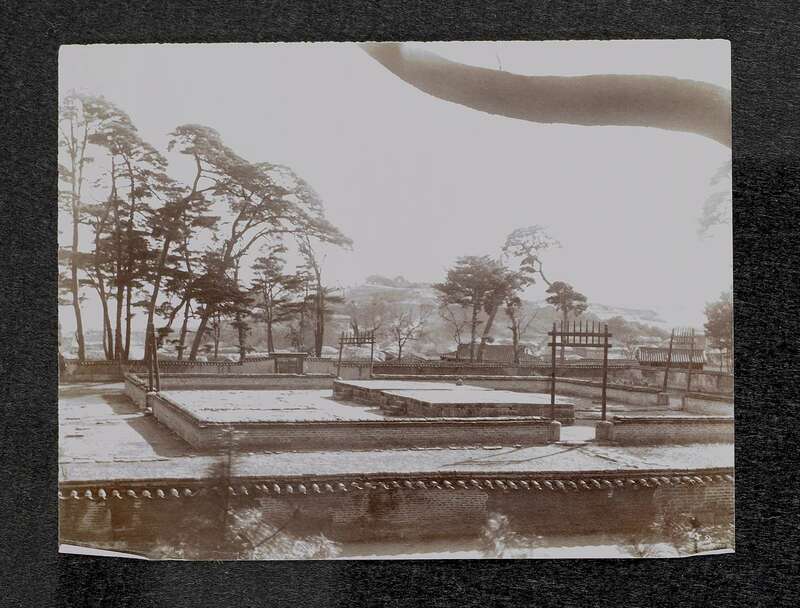 A view of the Altars of the Earth and of Grain in Sajik-dong, Seoul. 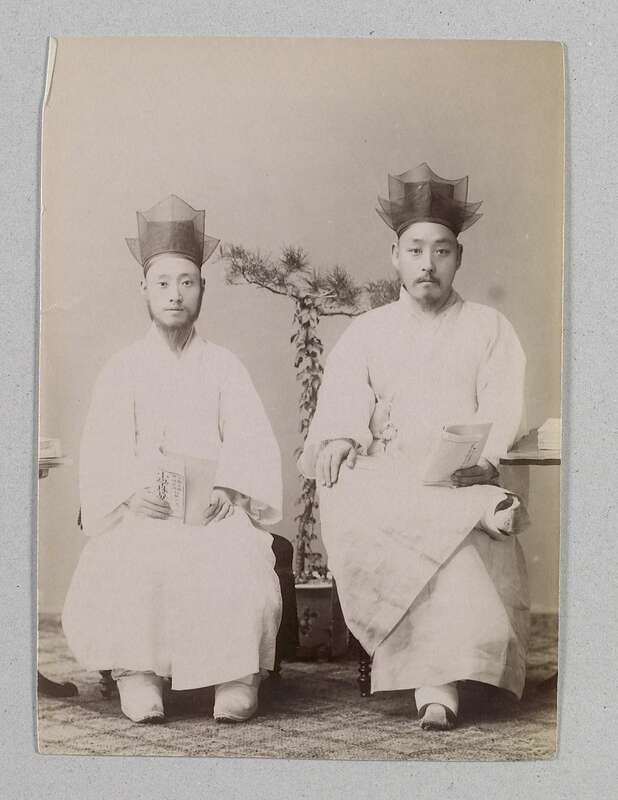 Two young yangban gentlemen, one holding a Sohak (小學) primer. 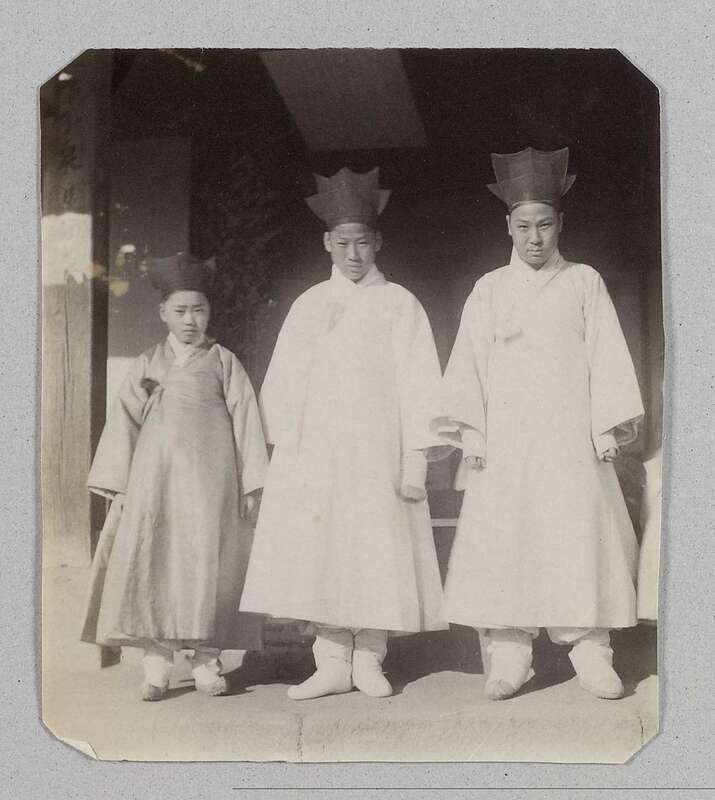 Three brothers, presumably, of the yangban class. 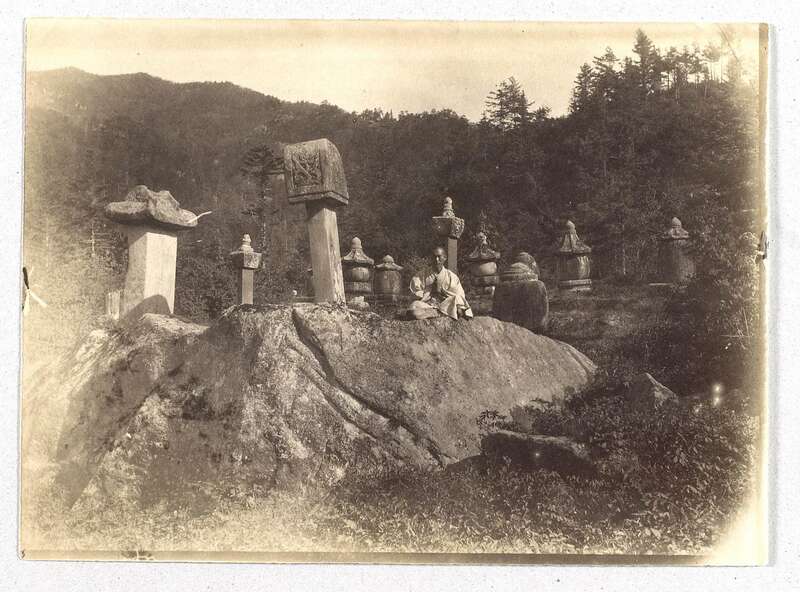 Funeral monuments at Yu-Chom-sa, the same as on p146 of her book. 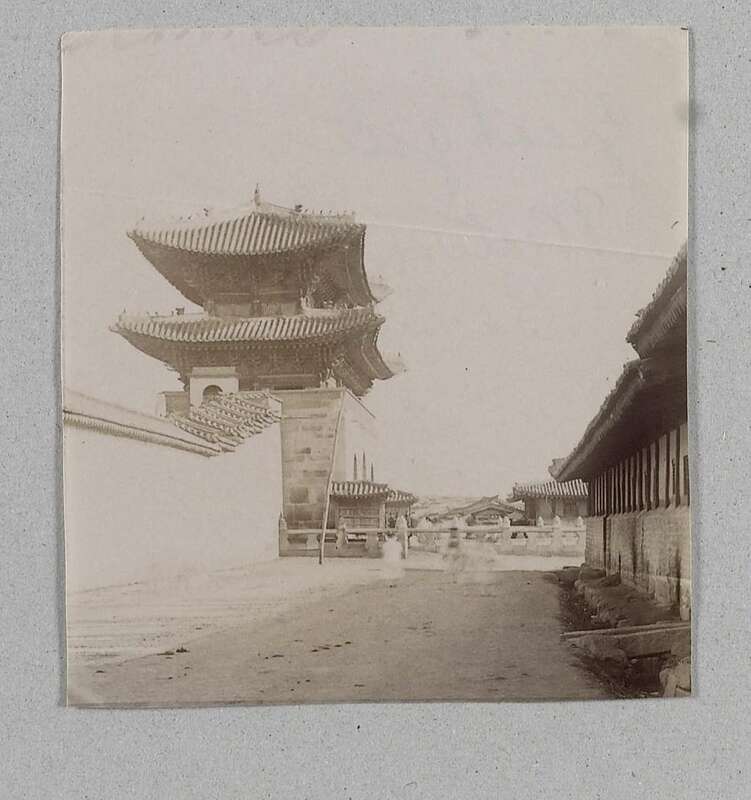 Kwanghwa-mun, the front gate of Kyongbok-gung, Seoul, seen from the south-western side, outside the palace. Perhaps a Ma-pu, to whom she often refers. 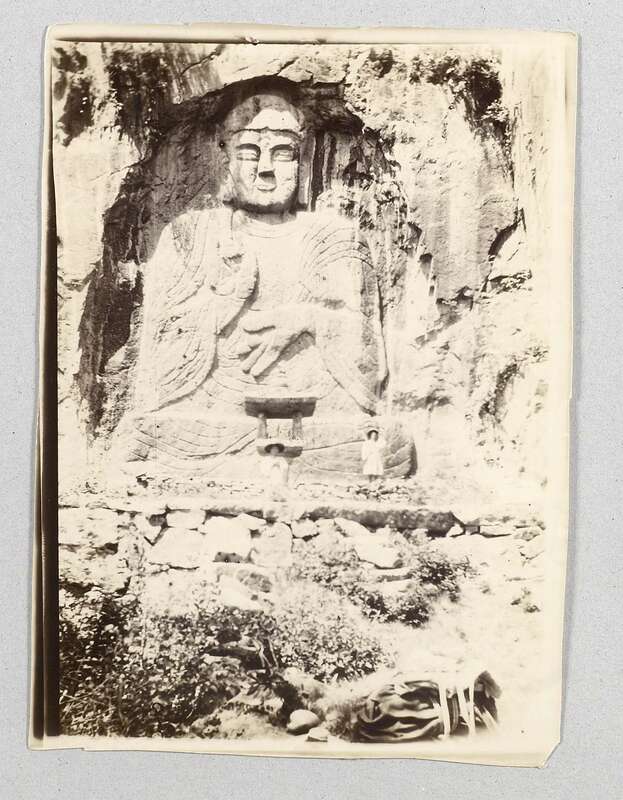 Myo-gil-sang, in the Diamond Mountains (p.144-5) with her bag in the foreground. Two serving women standing on the same floor as the 2 young gentlemen.